1. First and foremost, the insulation needs to be effective in controlling and maintaining an ambient temperature in conjunction with the HVAC design. 2. Secondly, these kinds of environments are often humid, necessitating the selection of internal finishes that can withstand high levels of moisture. 3. 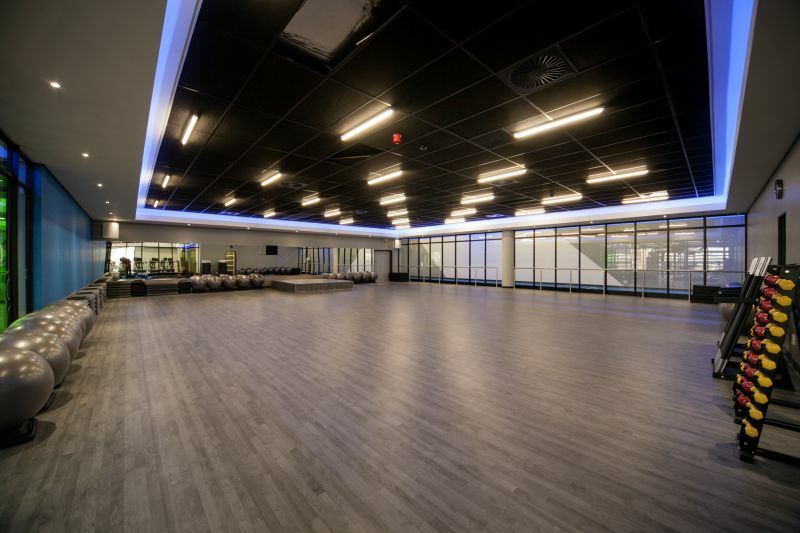 Finally, the overall finish of the facility needs to be invigorating and energising. 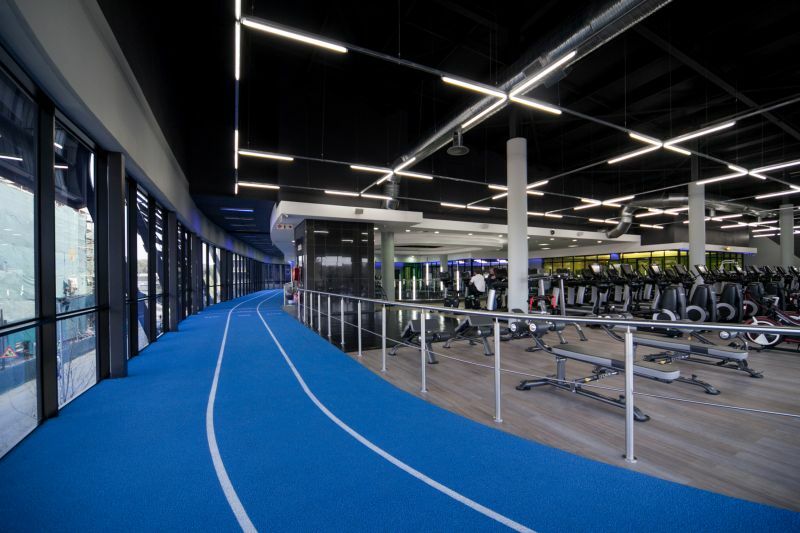 Selected for two new Planet Fitness gyms constructed in the last year – one in The Club precinct in Hazelwood, Pretoria, and the other at the Mall @ Carnival in Brakpan on the East Rand – Rigifoam’s rigid insulation, Lambdaboard, ticks all of these boxes. According to Duncan Goldsmith, managing director of Rigifoam, Lambdaboard has the highest R-value per 25mm thickness, therefore the design U-value of the insulation system can be achieved with a minimum thickness. 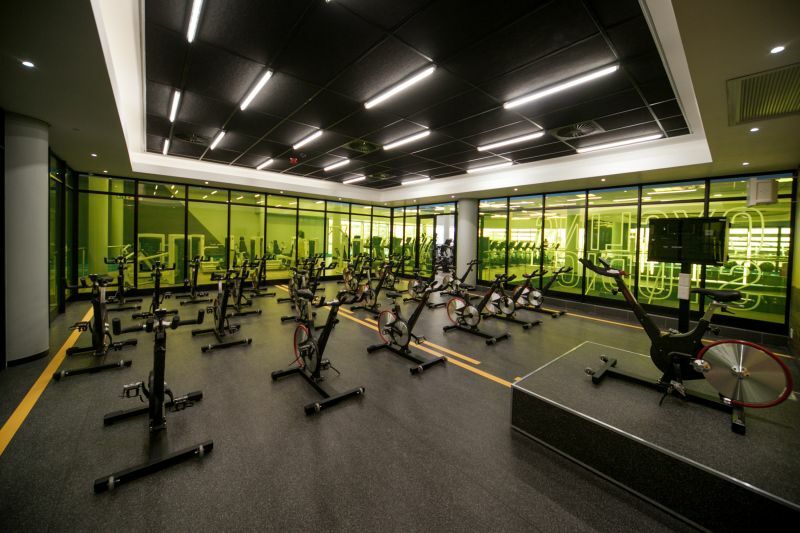 “This allows the air-conditioning system in the building to operate economically, keeps energy costs as low as possible and decreases the overall footprint of the building,” he says. Rigifoam’s Lambdaboard was specified for Planet Fitness at the Mall @ Carnival shopping centre in Brakpan. 1. Aesthetics: It can be installed as an aesthetic ceiling finish over purlin, between trusses or as a suspended ceiling. 2. Strength: It is rigid and has the ability to span great distances. This means that less structure is needed in the roof space to prevent sagging. 3. Ease of use: If some thought is put into the roof structure as a whole, it can significantly reduce effort and time during the construction. 4. Efficiency: Good R-values mean that the insulation material can be up to 20% thinner than alternatives. 5. Fire rating: Since it does not melt, it is safe in a fire situation. 6. Water resistance: Nothing is worse than sagging and disintegrating ceilings. Neat, robust ceilings and insulation without the possibility of water damage.